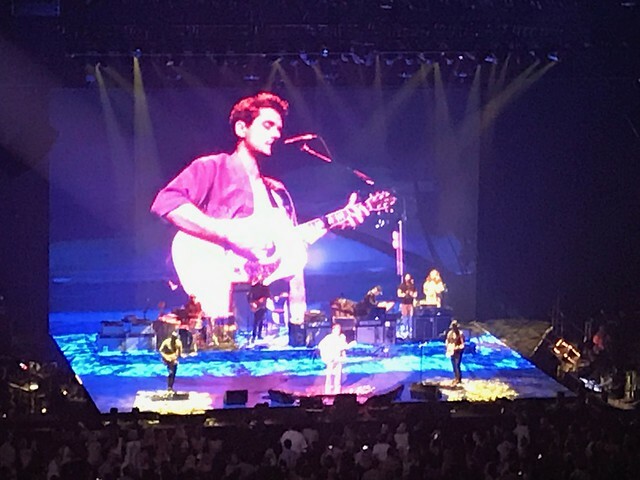 Sharon and I went to see John Mayer at the Golden One Center. Sharon got tickets for Suite 18 through her work. Although John Mayer is one of Sharon's favorite artists, we haven't seen him live in concert since 2003. I really enjoyed the way that they broke up the sets. They started with the full band. John Mayer then played a three song acoustic set, including a song with Bob Weir (founding member of the Grateful Dead). They switched to the John Mayer Trio for a few songs and then back to the full band. After the encore, John Mayer played an epilogue solo on a piano. The setlist is here. I was frankly amazed at John Mayer's guitar skills. I have always considered him a singer/songwriter. The set was also interesting. It featured an LED wall and floor. We had a great time. It was almost midnight by the time we wandered home.